Hygge for those of you that don't know means 'cosy' or 'fun' in Danish. So a hygge home is exactly that. Think warming Scandinavian homes with lots of greys and white, cushions and blankets, candles and wood. I bought my first house about four months ago (before that I owned a flat) and I was so excited to put my own stamp on it. I literally wrote lists waaaay before we even exchanged contracts! 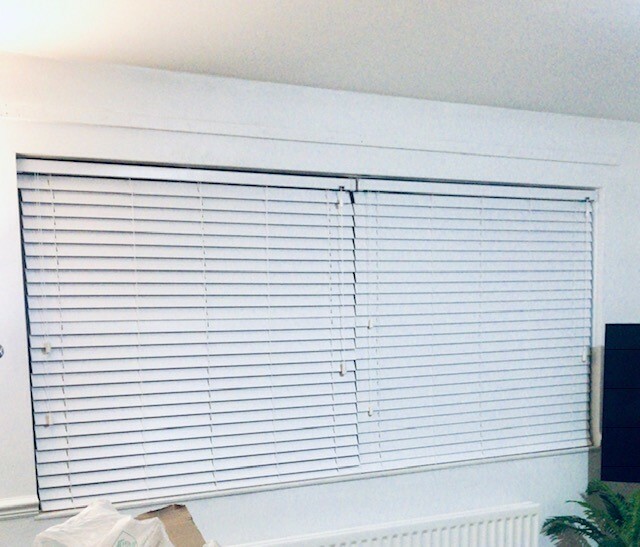 Two white blinds from makemyblinds. We had to get two because they didn't have one big enough for the window. 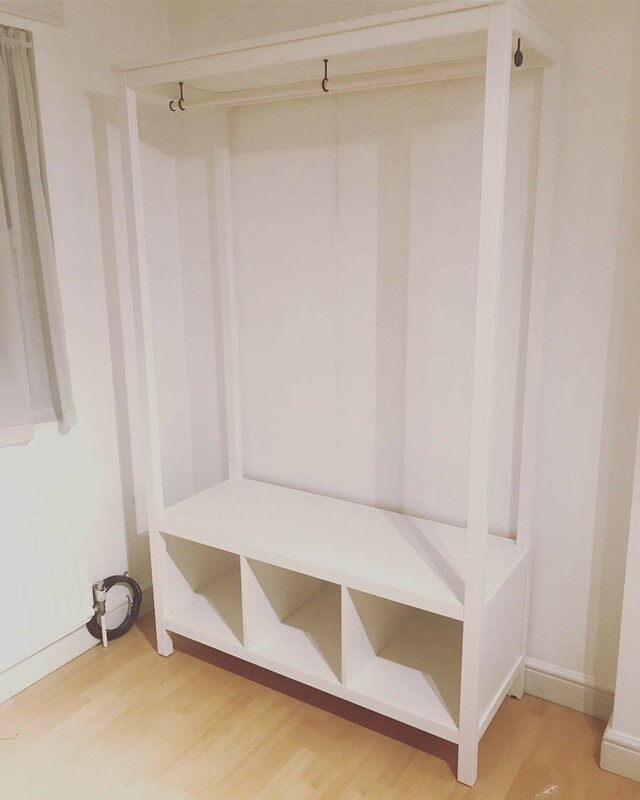 They were custom made and fitted perfectly although I'm not sure I would recommend the company because the customer service was rubbish and initially messed up the order! 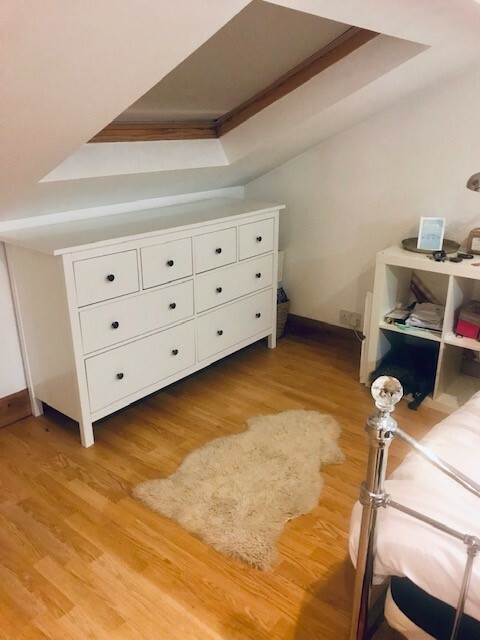 Chest of drawers and rug from Ikea. The drawers fit perfectly under our sloped roof but still fit so much stuff in them. 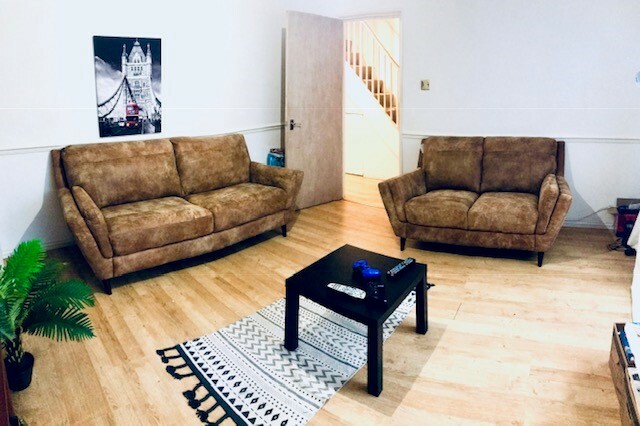 The rug I've had for ages and brought with me from my flat. 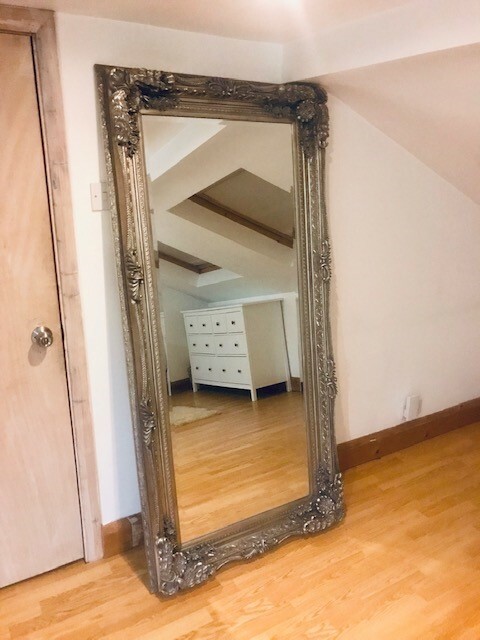 I think this mirror is my favourite piece of furniture so far. It's absolutely beautiful and was such a bargain from the Mirror Shop in Greenwich. I may buy another one in bronze for the living room. 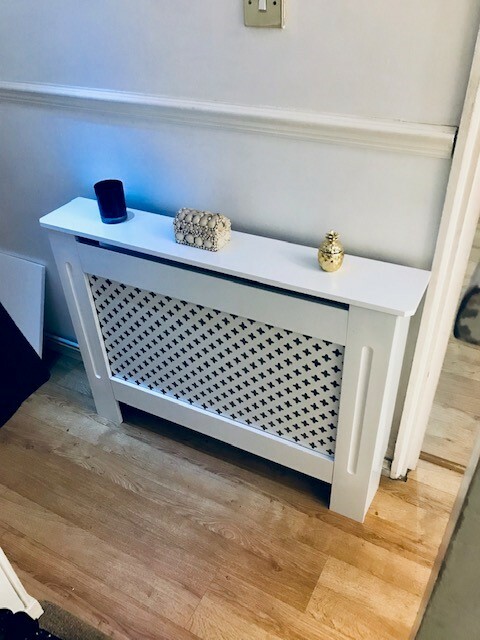 This radiator cover was another bargain from eBay. It came flat pack and we had to put it together but it just makes the hallway look so much more modern and put together. 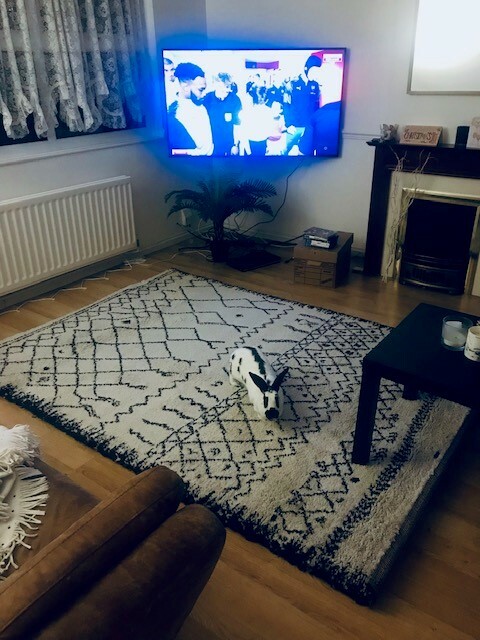 We bought THAT rug from La Redoute that everyone on Instagram seems to have. We got it in the Black Friday sale at 40% off so was pretty happy about this. Panda approves too! After the mirror I think my close second favourite pieces are these sofas from Sofology. Beautiful tan leather and so comfortable to sit on. They took about 8 weeks to arrive and you can buy them on interest fee credit. 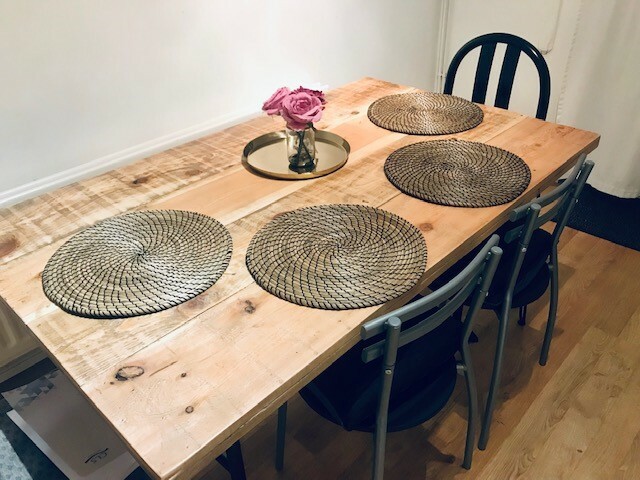 The first item I bought for the house was this rustic dining room table from a shop on Etsy. It's recycled from old farmhouse palettes. I love it so much I'm going to get a coffee table from the same company. The place mats are Ikea. Lastly another flat pack beautiful is this quirky open wardrobe from Ikea. I liked the idea of seeing my clothes and having them on display.. kinda like with my shoe wall (see here).